ADEMCO video manual iris lenses are the ideal solution for applications where scene and lighting requirements are consistent. Featuring world-class design, ADEMCO video's lenses bring together the highest quality glass optics, lightweight construction and durability, ensuring state-of-the-art optical correction, transmission and light gathering ability. 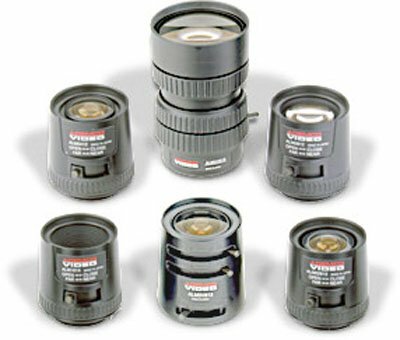 ADEMCO video's manual iris lenses are 1/3'' format, and are compatible with the vast majority of today's CCD cameras. The full range of manual iris lenses includes both fixed and varifocal length versions. Fixed focal length lenses allow the installer to choose cost-effective lenses with fields of view that are application-specific. Varifocal lenses allow the installer the flexibility of obtaining the exact field of view quickly and easily, eliminating lens substitutions or continuously having to adjust the camera set-up. This is especially convenient for future changes to the viewing environment.